FMCA is the Family Motor Coach Association. 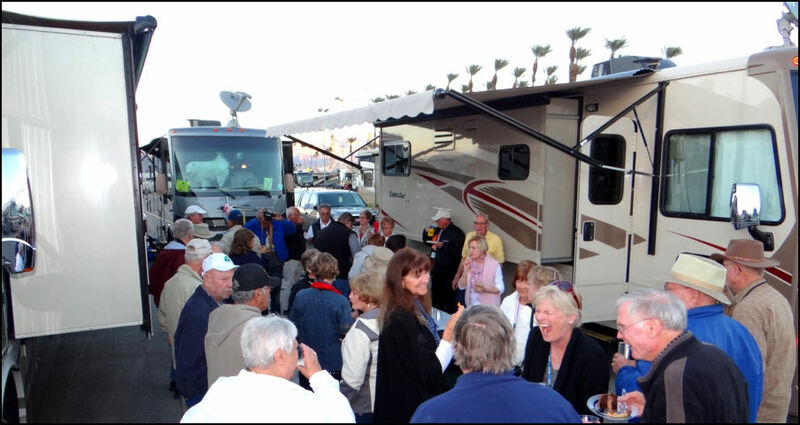 It was started in 1963 by 26 families who wanted to share their passion for motorhome travel and camping. Today there are over 75,000 active members including us. FMCA holds rallies all over the USA. A lot goes on at these rallies and it can be intimidating to attend your first one. We wrote this travelogue to get folks the inside track about attending a rally. 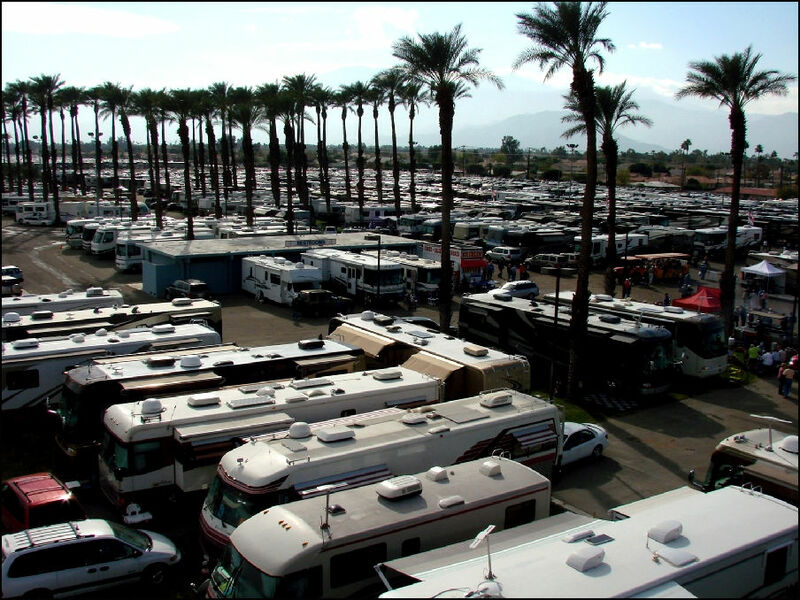 This was our first rally, the Jan 2007 Indio Western Area rally. In 2016 we attended again, this time after joining the California Coasters, a FMCA local club. It was fun to belong to this group who provided golf cart tram service to the 1,800 participants of the rallies.